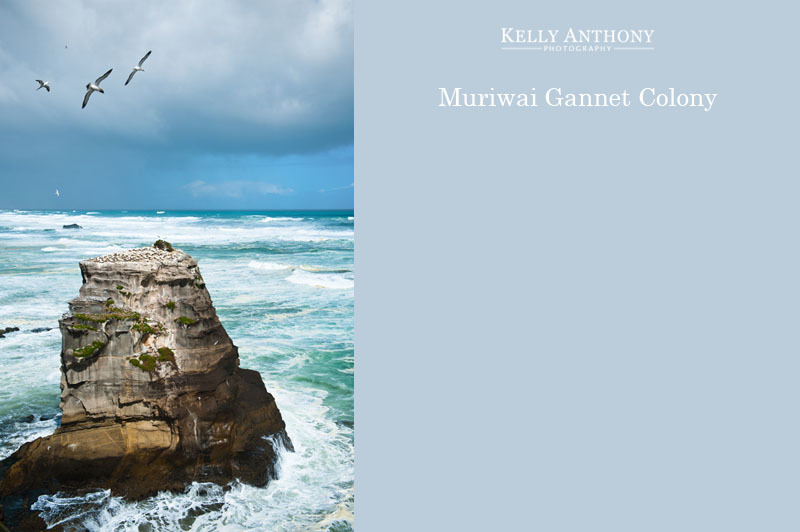 About an hours drive from Aukland, in Muriwai, there is a spectacular Gannat Colony. It was beautifully sunny until a sudden downpour of drenching rain hit the coast line (and us!). We soon dried out with the heavy winds as the sun reappeared! 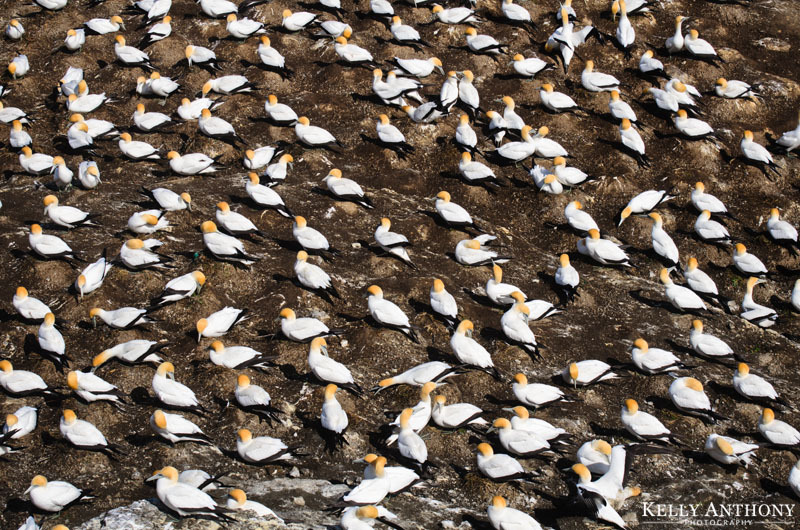 It was an amazing sight to see hundreds of gannets swooping through the sky on the air currents, ducking and weaving. In situations like this where there are lots of fast moving subjects, the focusing ability and fast lenses make getting the shot much easier, but it was certainly a challenge to capture their grace and agility. 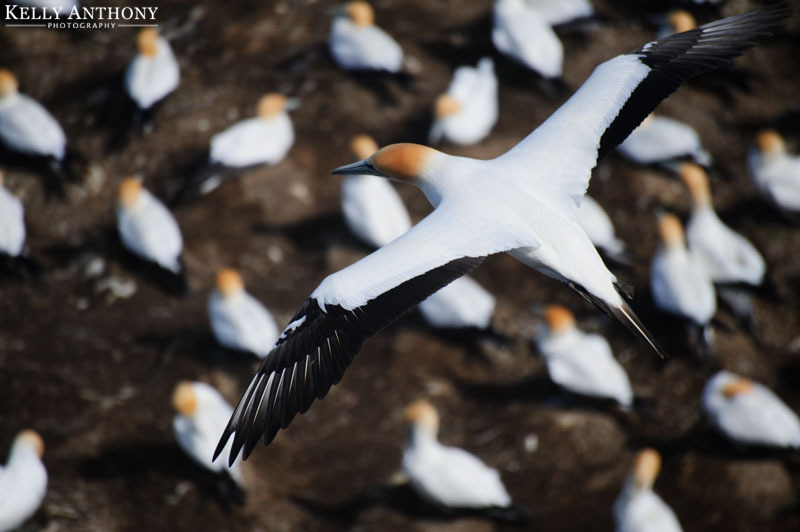 At this spot, each year around 1,200 pairs of gannets nest here between August and March. 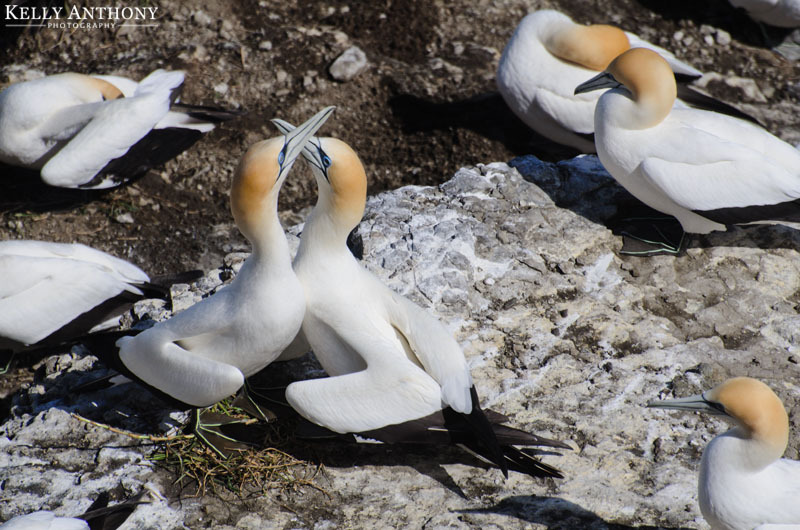 Each pair lays just one egg and the parents take turns watching over their precious nest. 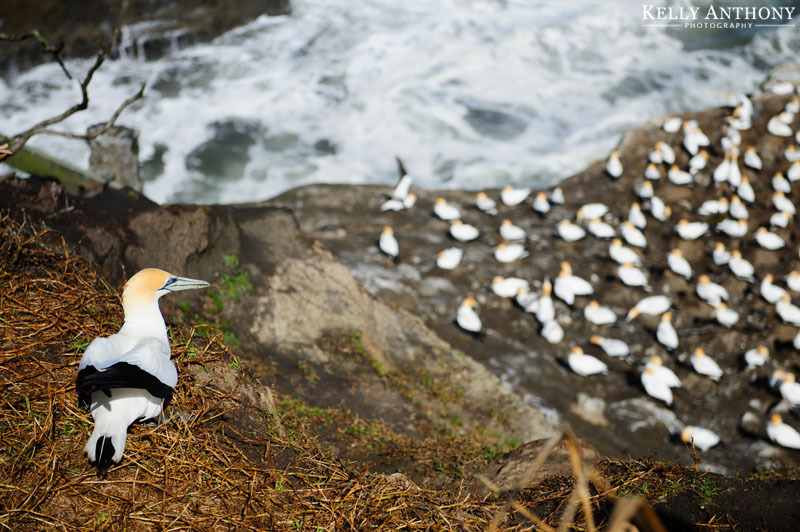 As the chicks mature, they begin to exercise their wings in preparation for a single shot jump off the cliff. 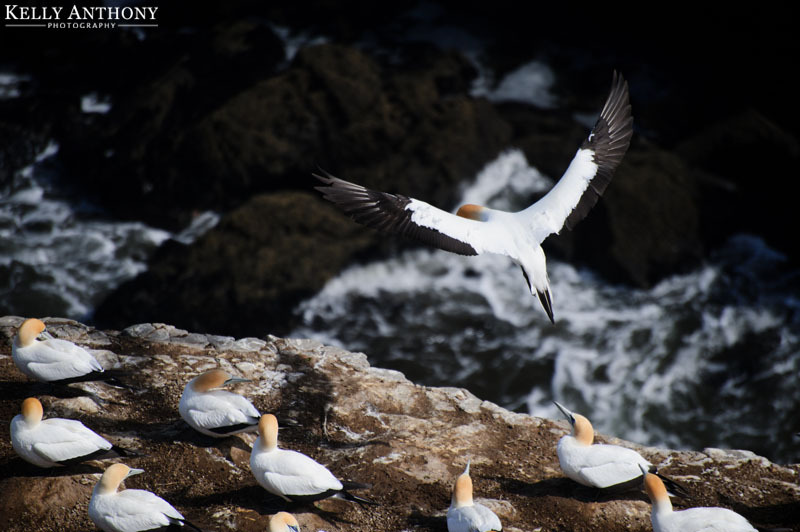 Once airborne, the young gannets leave the colony and cross the Tasman Sea all the way to Australia. 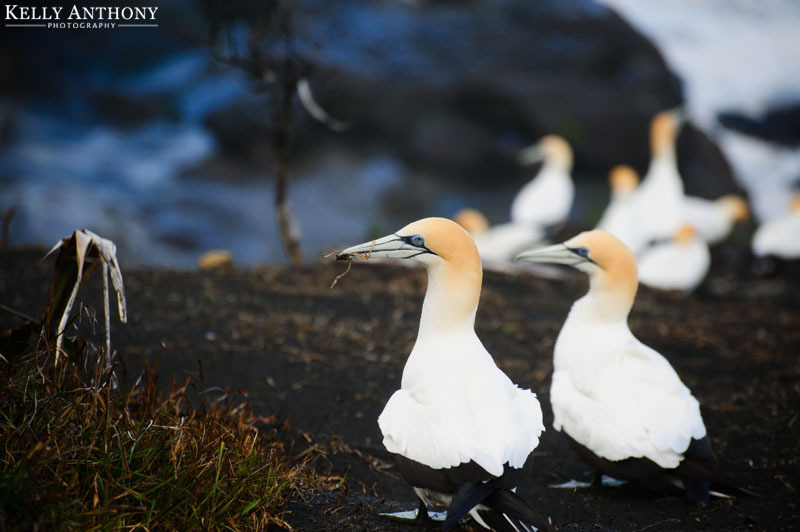 Years later they return to the same place to nest again.